Groups of 12+ Save 20%! 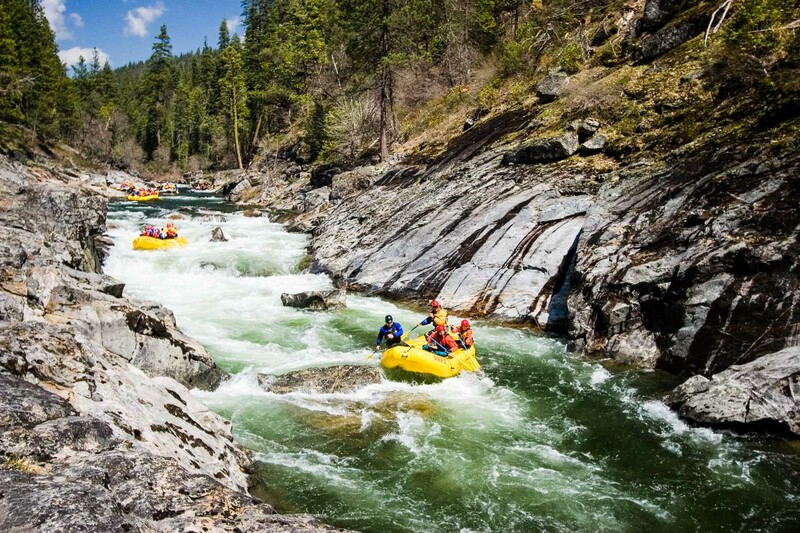 With an average gradient of 70 feet per mile, the rapids come quickly on this river! 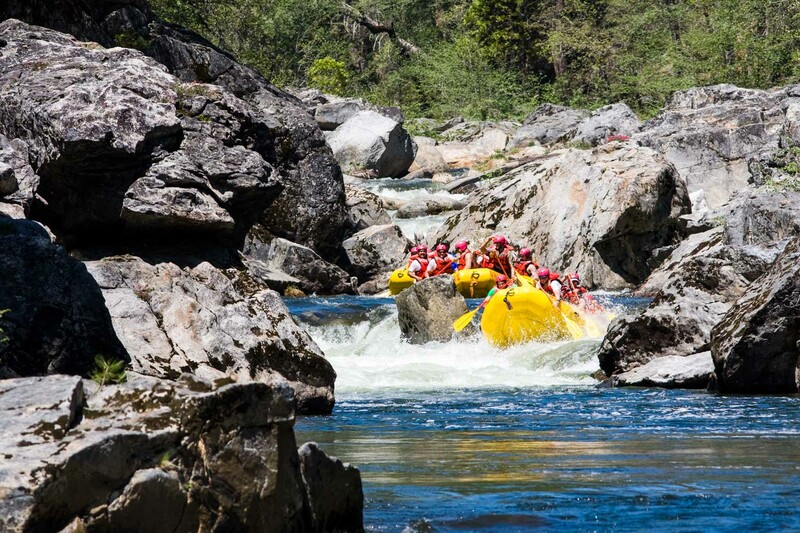 The North Fork of the Stanislaus River boasts some of the most technical Class IV whitewater rafting in California. 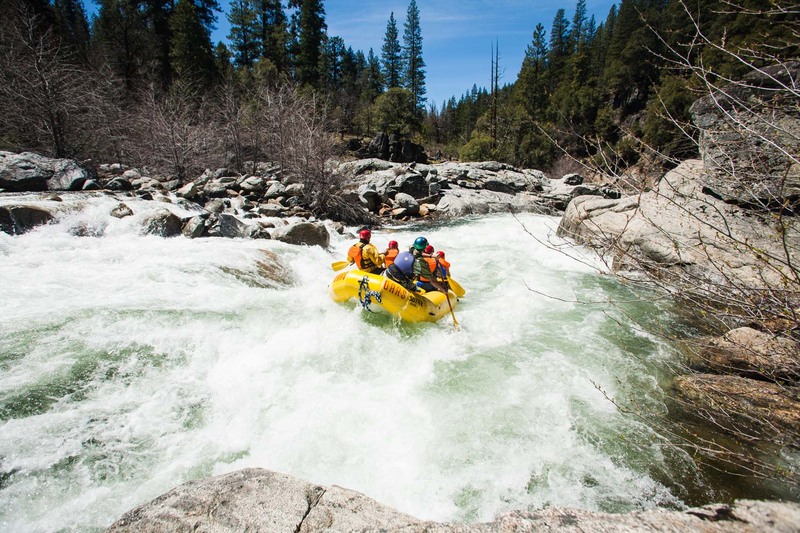 A veritable insta-epic, the North Fork of the Stanislaus River (also known as the “Stan”) starts at 4,000 feet and hurtles six miles, at a 70 feet per mile gradient, down to the feet of some of the most massive trees you’ll ever see—the Giant Sequoia groves of Calaveras Big Trees State Park in Northern California. 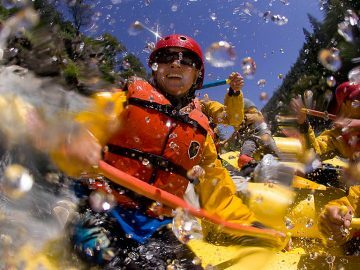 Granite gorges, meadows of wild azaleas and old Miwok Indian sites slip by one after another, amidst big waves, churning holes and plenty of technically-demanding paddling. 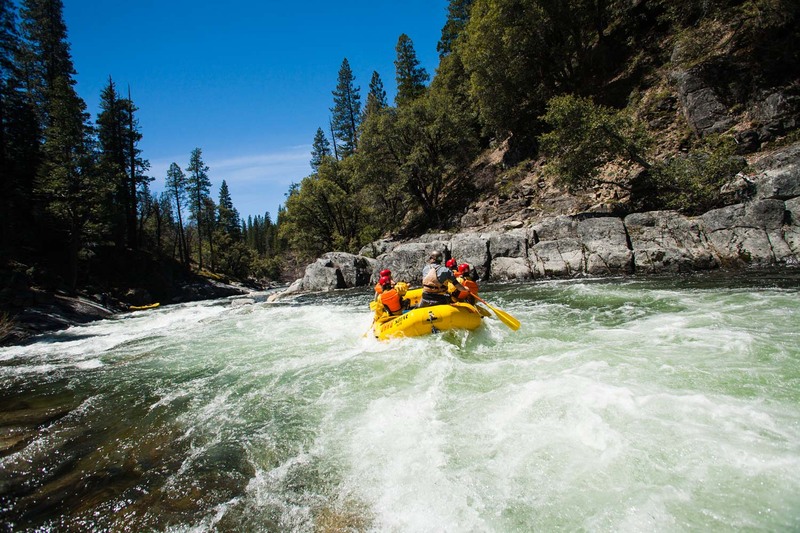 For hard-working paddlers with a taste for thrills, chills and spills—rafting the North Fork Stanislaus River in Northern California is a slice of wild whitewater heaven. 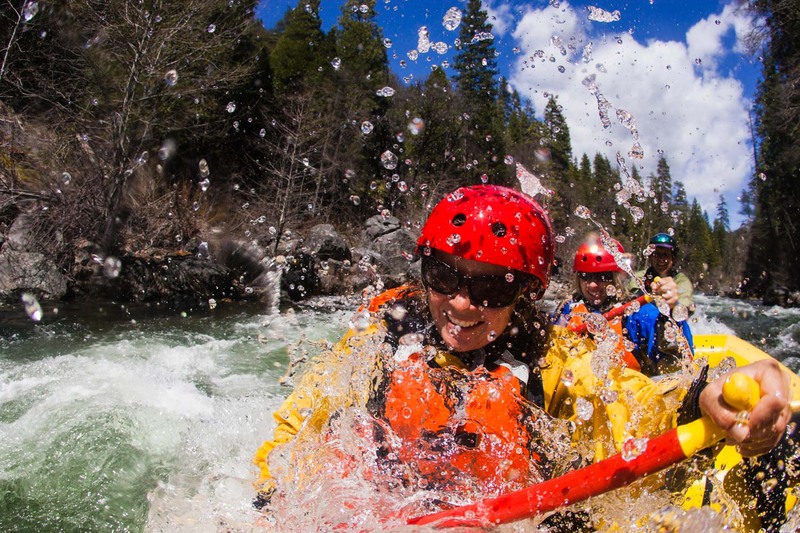 Information for this Mile by Mile guide was gathered from the books “California Whitewater,” “A Guide to the Best Whitewater in the State of California” and from a variety of sources on the Internet. 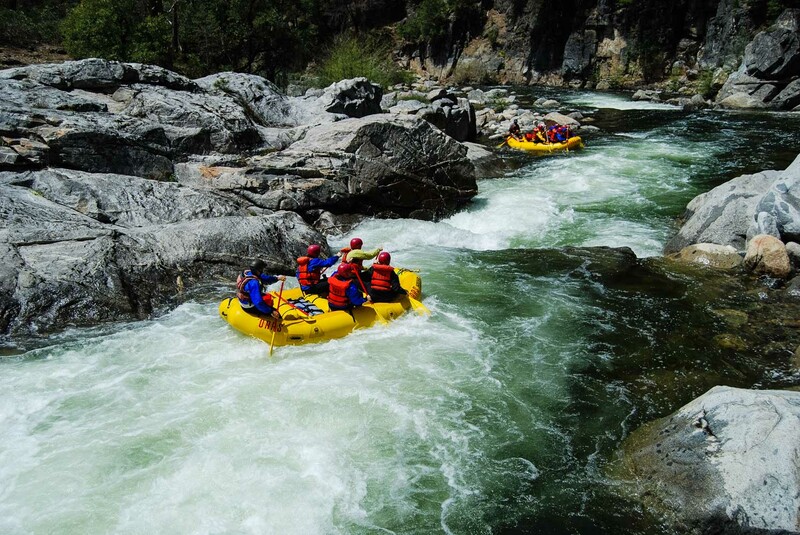 BEGINNER’S LUCK (IV-V) Put-in (start) OARS North Fork Stanislaus Whitewater Rafting trips. 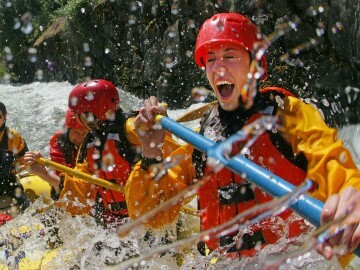 Beginner’s Luck is often the most challenging rapid of the day. 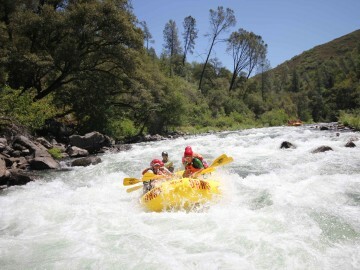 However, the lower half of the run is extremely thrilling with steep, continuous whitewater. 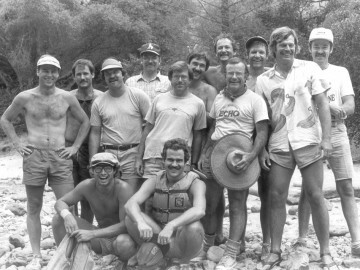 Prior to excessive rainfall in 1997, the action started with Sourgrass Ravine (Class V), however, the North Fork Stan was drastically altered after flooding caused a large landslide. 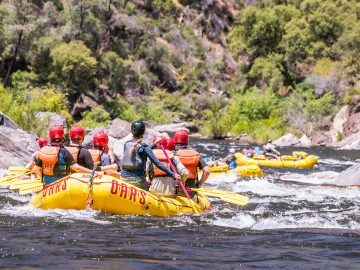 Your California whitewater rafting trip on the North Fork Stanislaus River starts with Beginner’s Luck rapid. This is a staircase-like rapid in which the first drop is followed by a steep ramp and a large hole. The second drop is typically run as far left as possible. 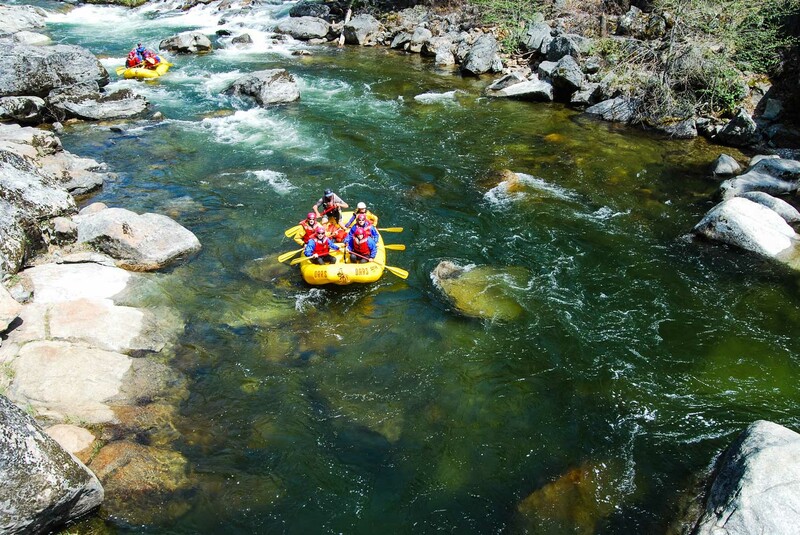 However, the choice of routes varies depending on the river’s flow. BEAR CLAW (III+) “Chunky” run in the main current with a few “pin” rocks. There is a hidden line on the left bank that is really fun. SHOTGUN (III) There is a technical entrance with a lot of acceleration along a granite slab on the left side of the river. Board’s Crossing. There is a private dirt road and a bridge which crosses the river. THE SLOT (IV) Several routes are possible depending on the river’s flow. 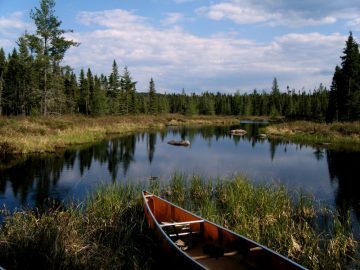 Listen to your guide and paddle hard! THE PLUNGE (IV) There is an 8-foot slanting waterfall with a big hole at the bottom on the left side of the river. There is a collection of rock jumbles on river right. THE THING or CONVULSION (IV+) The “thing”, found in the middle of the river, is a spouting rock that resembles a rooster tail. WHITEOUT (IV) Numerous car sized boulders make it virtually impossible to see the bottom of this rapid. 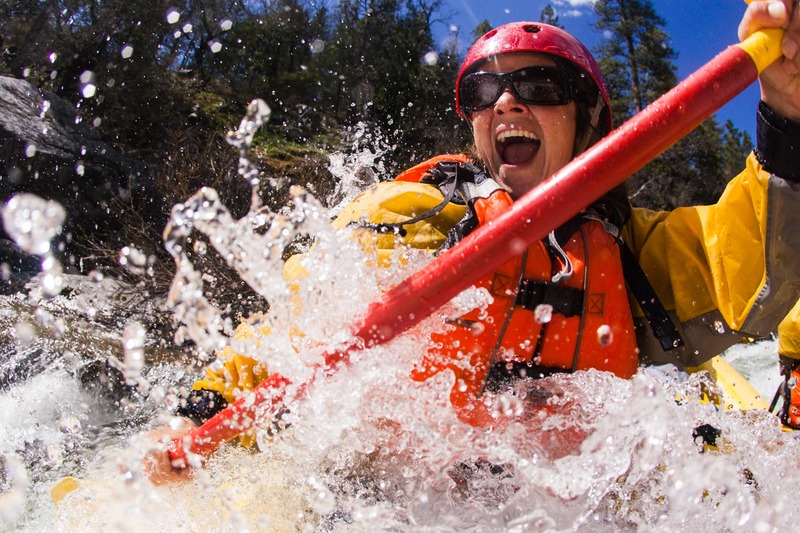 After navigating the top there are three ways out of the rapid: Door #1, #2 or #3. Door #1 is the most fun with a 5-foot “spout” waterfall. Doors #2 and #3 involve a lot of technical maneuvering. SURF LEDGES (III) There are consistent re-circulating holes that are great for surfing. UPPER SEQUOIA (IV+) This is an “s-turn” type of rapid. 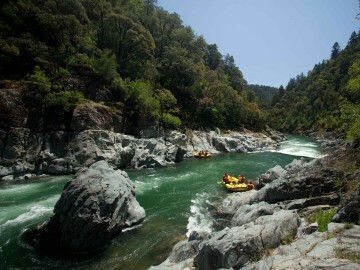 The entrance to the rapid begins on river right. There is a hard left move followed by a hard right move. LOWER SEQUOIA (IV+) Big boulders make for a technical entrance with a hard move from left to right with a 5-foot “spout” to finish. BIG TREES FALLS (IV) Line up on the right then enjoy the ride of this 12-foot slanting chute. 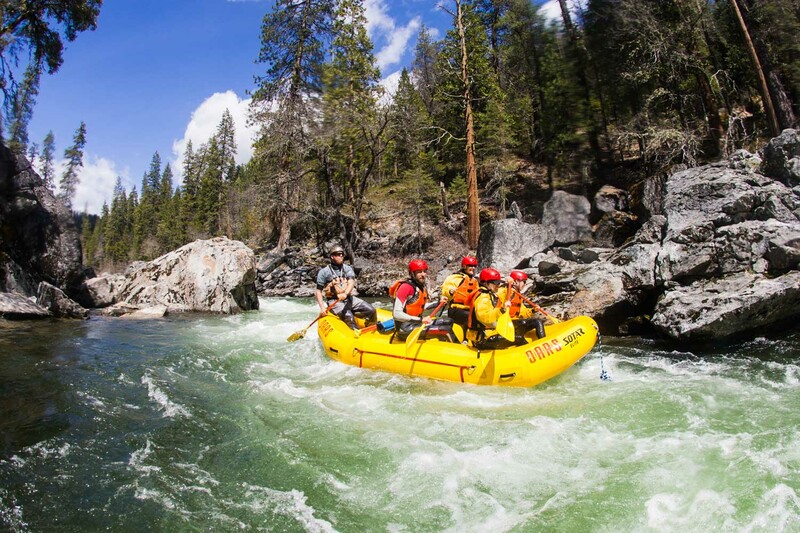 There are consistent Class II+ rapids until you reach the end of your North Fork of the Stanislaus whitewater rafting experience in Calaveras Big Trees State Park. Take out/end. 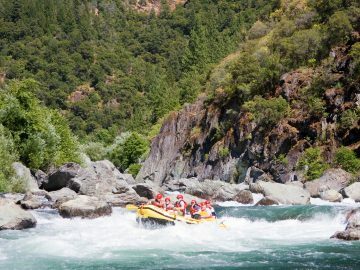 Hot/cold drinks and a return shuttle to your vehicle await at the take-out of your OARS North Fork Stan River rafting trip. O.A.R.S. 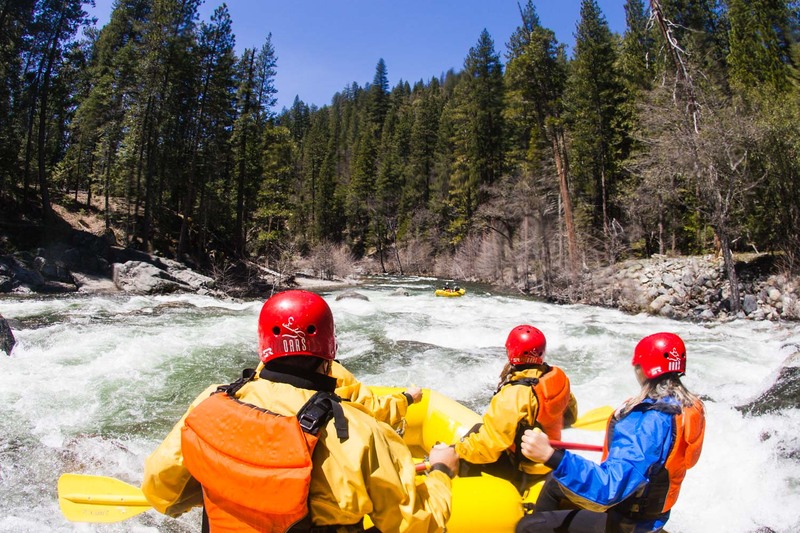 West, Inc. operates on the North Fork of the Stanislaus River as a permitted outfitter under the Stanislaus National Forest.